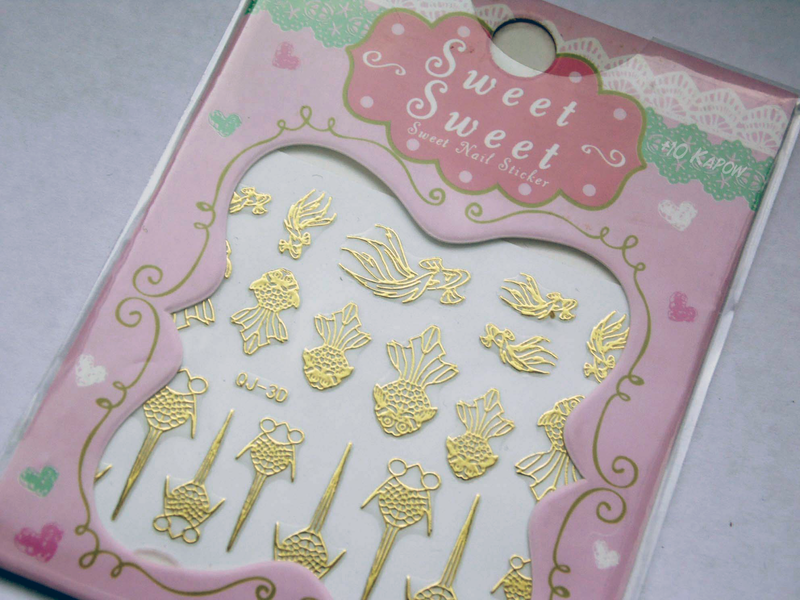 When I saw the gold framework stickers on Born Pretty Store, and the beautiful nail art shown in the main item pictures, I really wanted to try these out. They are stickers rather than water decals and when I took them off the backing, I was a little worried that they would be a little too thick and the edges would show up but this wasn't an issue. Another issue I was worried about was lift, but the only stickers that showed any signs of lift were the ones on the bottom line, it was the eyes but it isn't that big of a problem. Here they are on their own over a base of a mix of blues just splodged on in a random pattern. 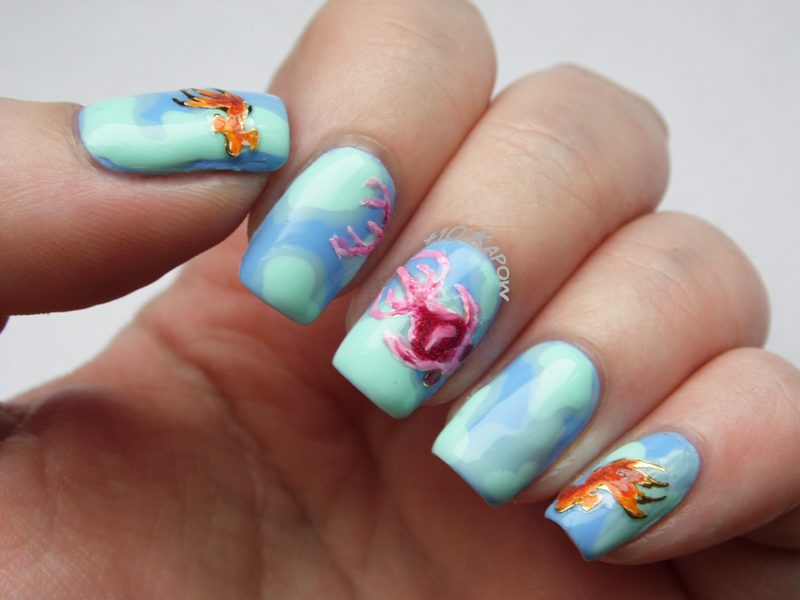 I tried to use the stickers as a skeleton similar to the nail art shown on the Born Pretty Store website, my skills aren't quite that good but the goldfish ones turned out really pretty I think. 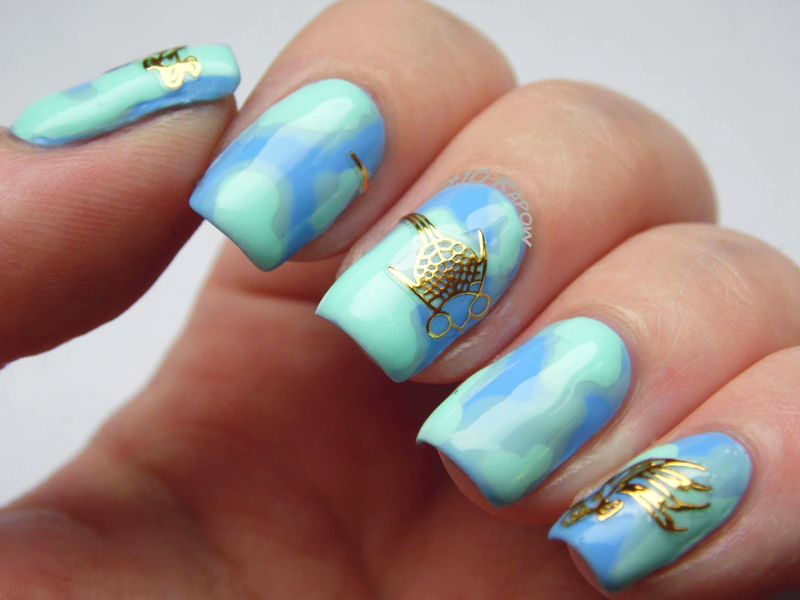 These stickers would be great for some aquarium or pond themed nails but the gold would also look great plain over a black base. If you want to try these stickers too, you can find them here for £1.62 ($2.52) They are also available in a multi-coloured style. 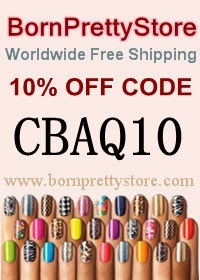 Don't forget to use CBAQ10 at checkout for 10% off your basket amount. *The stickers in this post were sent to me for review purposes. All opinions expressed are my own, honest opinion.